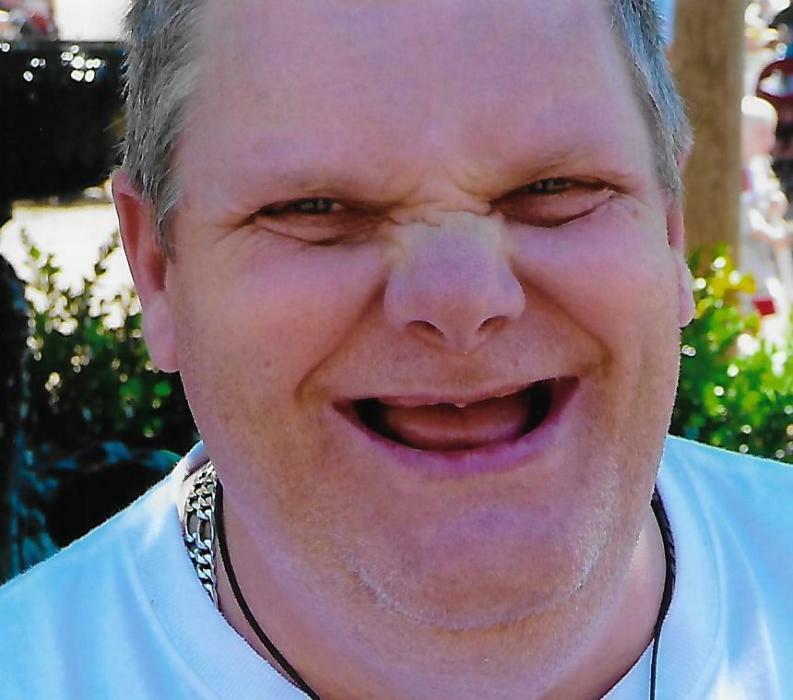 Ricky James Bright, 57, of Westminster, died peacefully on Thursday, February 7, 2019 at Carroll Hospice Dove House in Westminster. Born September 4, 1961 in Baltimore, he was the son of the late John and Phyllis (Delawder) Bright. He was the husband of Carolyn Denise (Gately) Bright. Ricky worked at Carroll Hospital in the Dietary Department for several years and volunteered as a Bell Ringer for the Salvation Army at Christmas time. He enjoyed collecting ball caps and listening to Michael Jackson’s music. He was an avid fan of the Baltimore Ravens, the Baltimore Orioles, and NASCAR, especially Dale Earnhardt, Sr. and Dale Earnhardt, Jr. Surviving, in addition to his wife Carolyn, are his in-laws, Tom and Barbara Gately of Hanover, PA; brothers-in-law, Jim Gately and wife Laura of Shrewsbury, PA and TJ Gately and wife Tanya of Collburn, CO; and an uncle, Donald Haines of Taneytown. He was predeceased by sister, Phyllis Eckenrode; brother, Ronnie Bright; and an aunt, Caroline Haines. A memorial service to celebrate Ricky’s life will be held at 7 p.m. on Thursday, February 14, 2019 at MYERS-DURBORAW FUNERAL HOME, 91 Willis St., Westminster, MD with Pastor Bill Meushaw officiating. Burial will be private. The family will receive friends from 5 p.m. until the time of the service at the funeral home on Thursday. In lieu of flowers, memorial contributions in Ricky’s name may be made to CHANGE, Inc., 115 Stoner Ave., Westminster, MD 21157.